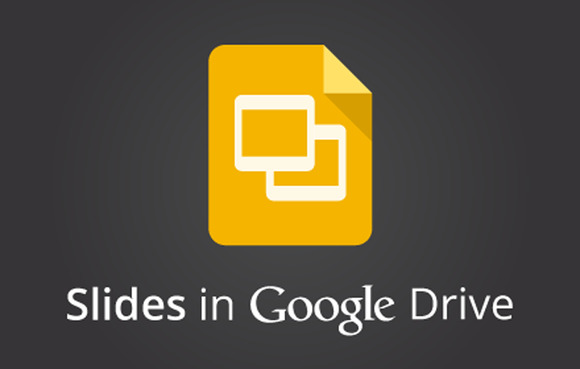 Google has added Slides, the latest version of its Docs presentation software, to its suite of offline applications, as it tries to play a spoiler role with the official releases of Microsoft Office 2013 and the home user version of Office 365 right around the corner. Slides users will now be able to view and edit presentations without an Internet connection, provided they are using the Chrome Web browser or a Chrome OS device. 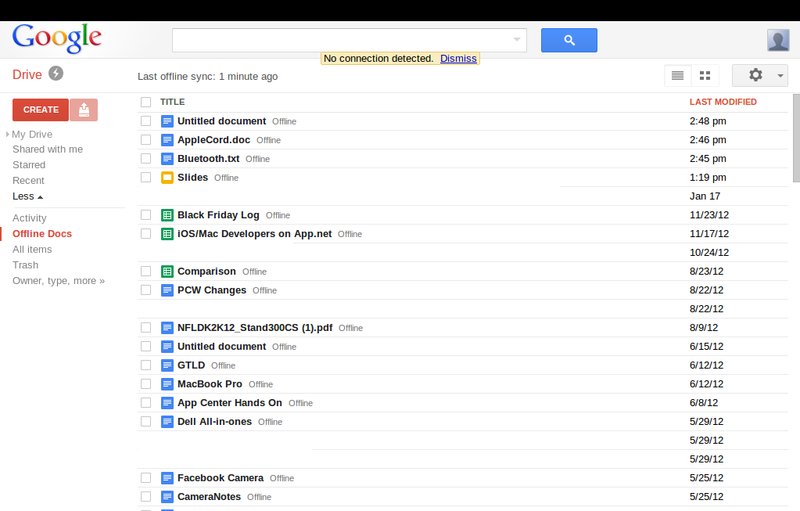 Google Docs would be hard-pressed to appeal to power users looking for the full feature set that Office offers. But the addition of Slides gives offline capabilities to Drive’s three primary productivity apps: text documents, spreadsheets, and presentations. With a free alternative that you can use on- and offline, Drive is edging closer to being a viable alternative for users that just want to type up a quick document, track expenses on a spreadsheet, or finish up a presentation for work. But downsides still remain to Drive’s offline capabilities. Google Docs’ offline capabilities have restrictions based on what kind of device you are using. Using Chrome or Chrome OS offline, for example, you can edit and view documents and presentations, but you can only view spreadsheets. If you’re on Android or iOS, you can only view your documents. Drive beats Office on the mobile front since Microsoft has yet to release mobile apps for its productivity software; however, Android and iOS Office apps are expected. Microsoft’s Office Web apps are also unavailable offline, but offering offline Web apps would pretty much defeat the purpose of having an Office desktop suite – at least for casual users who don’t need the full power of Microsoft’s desktop apps. 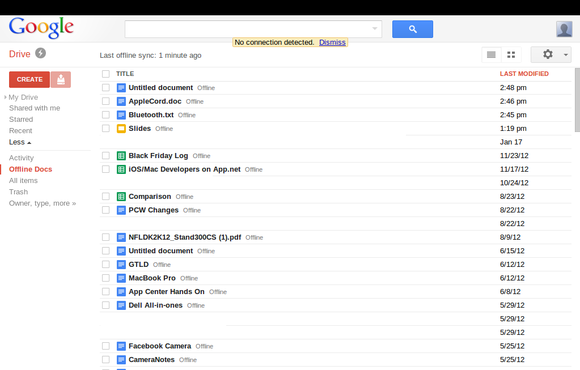 Google introduced its latest version of Google Drive offline editing last summer. Previously, users could install Google Gears for offline access. To prep Google Drive/Docs for offline access in Chrome go to your Google Drive menu and select the “More” dropdown menu in the left-hand navigation column and select “Offline Docs.” On the next page, click the blue “Enable Offline” button. You will then be prompted to install the Google Drive app from the Chrome Web Store if you haven’t installed it already. Microsoft’s official release of Office 2013 is expected in the coming weeks. Office 2013 will be available as a boxed version as well as via the Office 365 Home Premium subscription service. Annual Office 365 subscriptions let you install the latest version of Office on up to 5 computers, download temporary versions of Office to use on public computers, an extra 20GB SkyDrive storage, as well as 60 minutes of free international Skype calls every month. Office Home Premium will set you back about $100 per year.